Spokesmama: Back to Rashes: Laundry Detergent Strikes Again! Back to Rashes: Laundry Detergent Strikes Again! 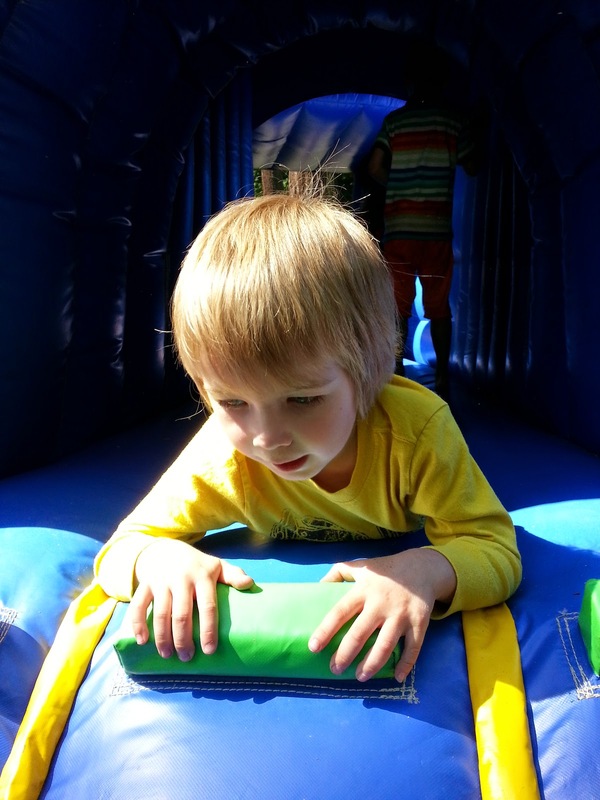 Itchy Boy's first time in a bouncy castle, er, train. About three years ago I tried out Tide Pods detergent, which caused both Linnaeus & I to break out in rashes. I wrote about it & it's become my most popular blog post ever, continuing to attract fellow rash sufferers to Spokesmama. I've been really cautious with Linnaeus' clothes since then, only using VIP Hypoallergenic detergent, which doesn't bother him. Recently I thought I'd toss in a few items of his with a load of my & the baby's clothes that I washed with a Seventh Generation liquid detergent I got free ages ago. I like it because it's liquid & never leaves a residue on dark clothes. The packaging is partly recyclable & partly biodegradable. Cue the itching & rashes. I didn't realize it was probably from his clothes until today. Poor boy has been scratching away at his legs & now his tummy for a few days. It's not anywhere he's gotten any sun & it's too spread out to be a bug bite. I'm hoping a bath with some baking soda & maybe a little calamine on it after will take care of the rash. Trouble is, I can't remember which of his clothes I washed with the other detergent. Sigh. Into the machine all his clothes go, on the super wash cycle plus extra rinses. Just what I needed: more laundry to do. Have you or your kids had issues with laundry detergent causing skin reactions?